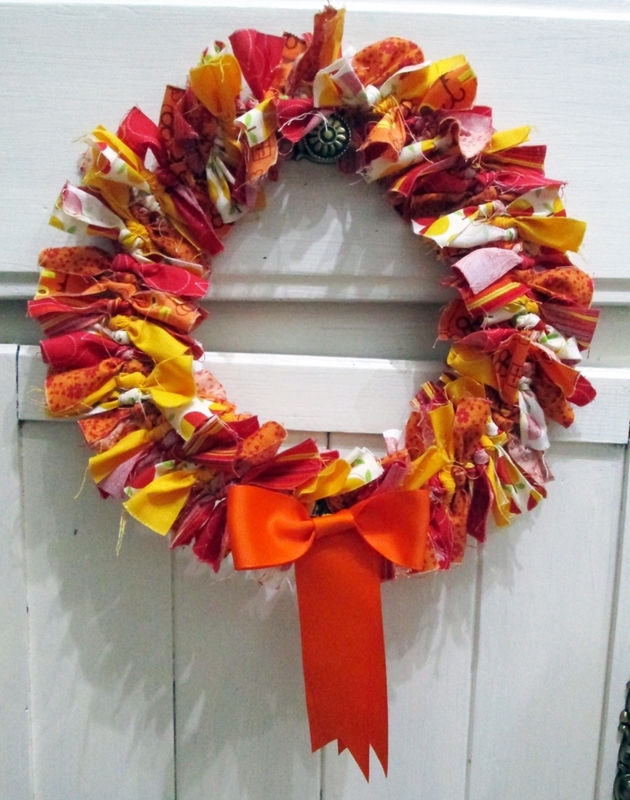 A couple of years ago I adopted the American practice of hanging a wreath on my door. The main reason was because I didn’t like how naked my door looked after I took the Christmas wreath down! 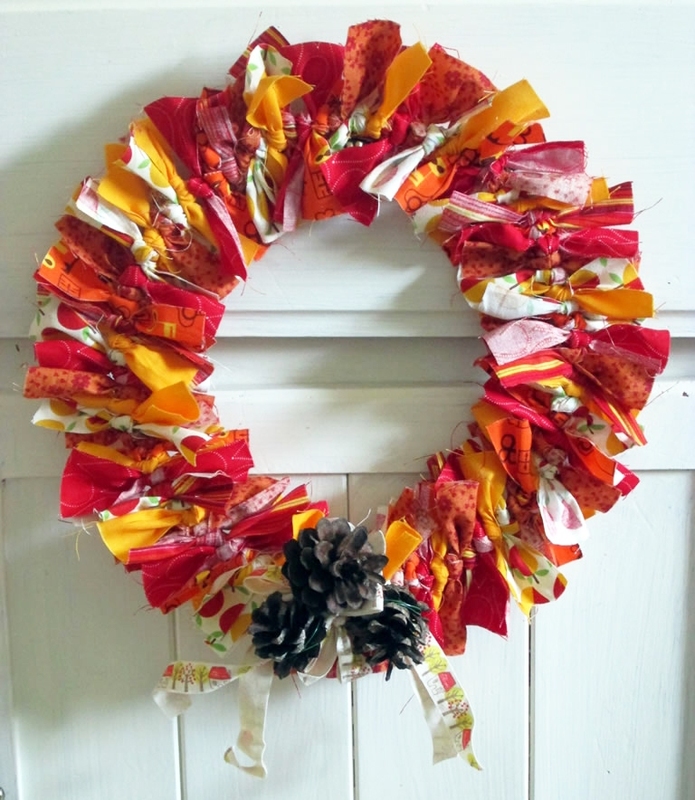 This tied wreath is very easy to make and is a great way to use up scraps of fabric. 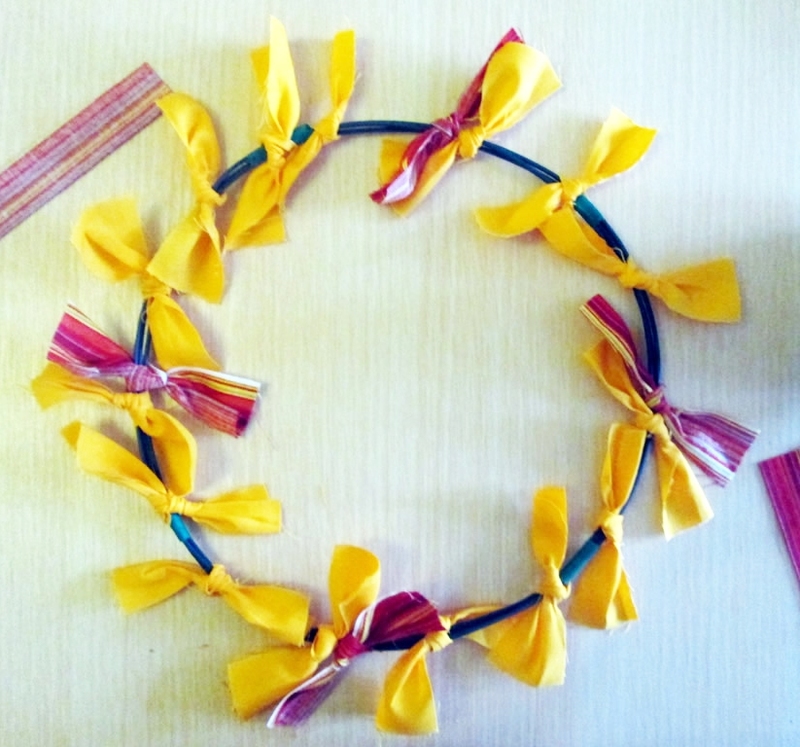 You will need: garden wire or a wire coat hanger, tape (I used electrical tape), scraps of fabric cut into strips, ribbon . 1. 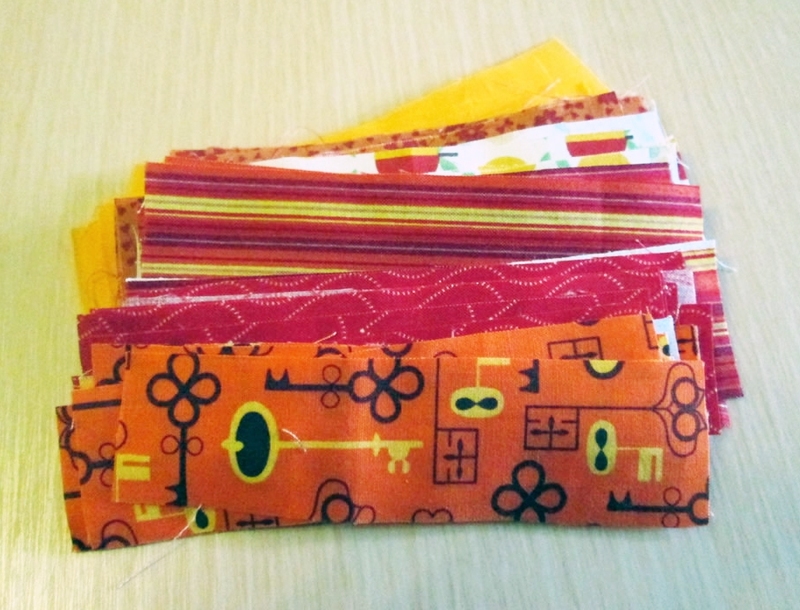 Cut the fabric into strips approximately 10 cm x 2 cm. 2. 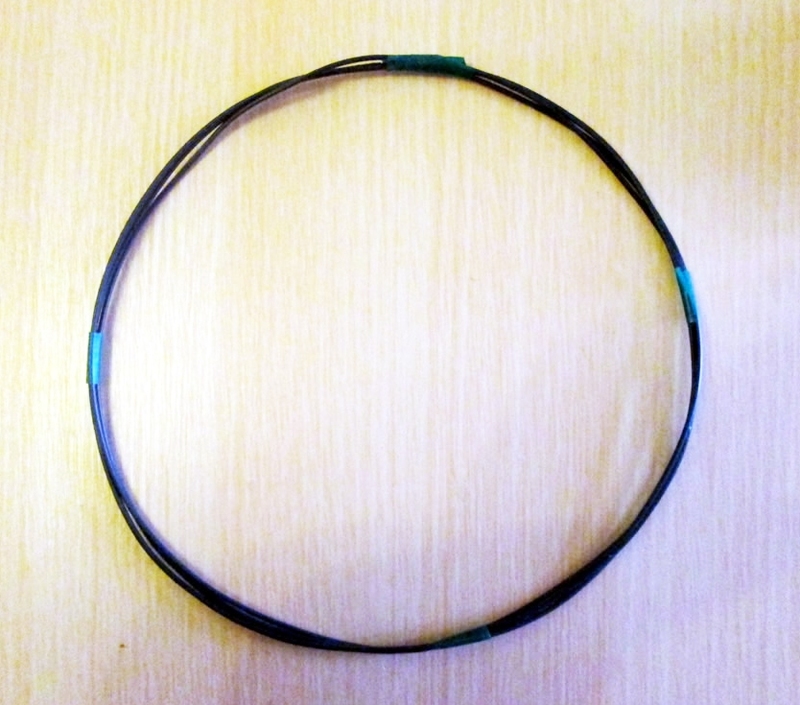 Cut a length of garden wire about 60 cm long and bend it round so that you have a circle about 20 cm in diameter. Use the electrical tape to hold it together. 3. 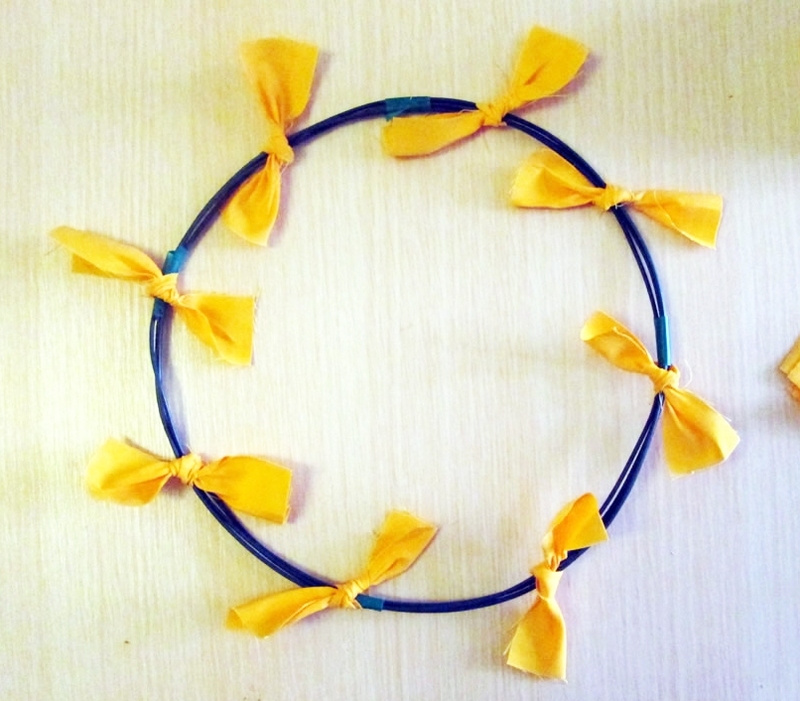 Start tying the fabric strips onto the wire ring at regular intervals. I started with one colour, then moved on to the next, making sure that the different colours and patterns were evenly distributed. 4. Keep tying the strips on until the wire ring is covered. Push the strips up close to each other so that there are no spaces. 5. Last year I decorated this wreath with pine cones. 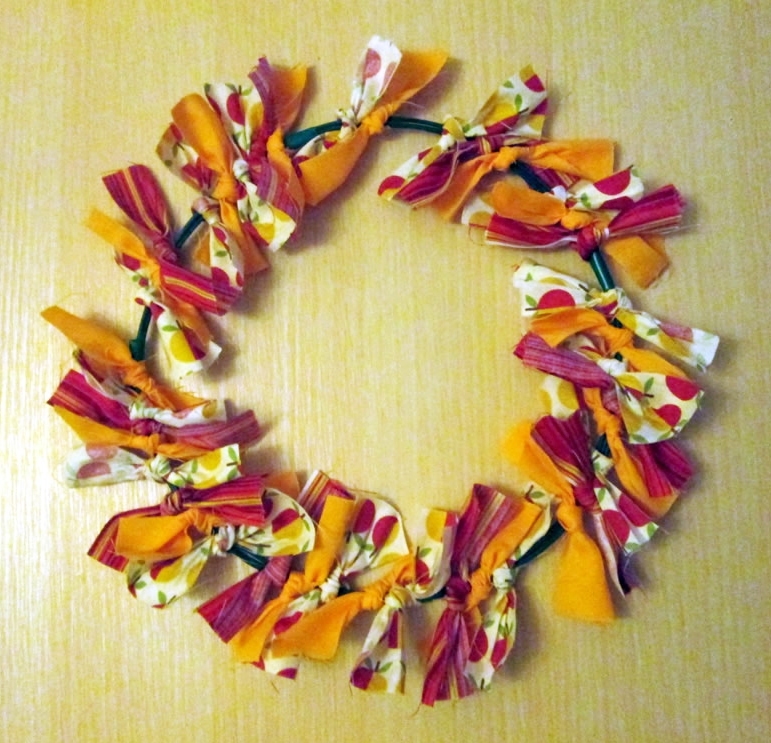 However, as I found some beautiful orange ribbon while I was having a rummage, I decided to make a bow instead. The way to get perfect bows is to not tie a bow at all! 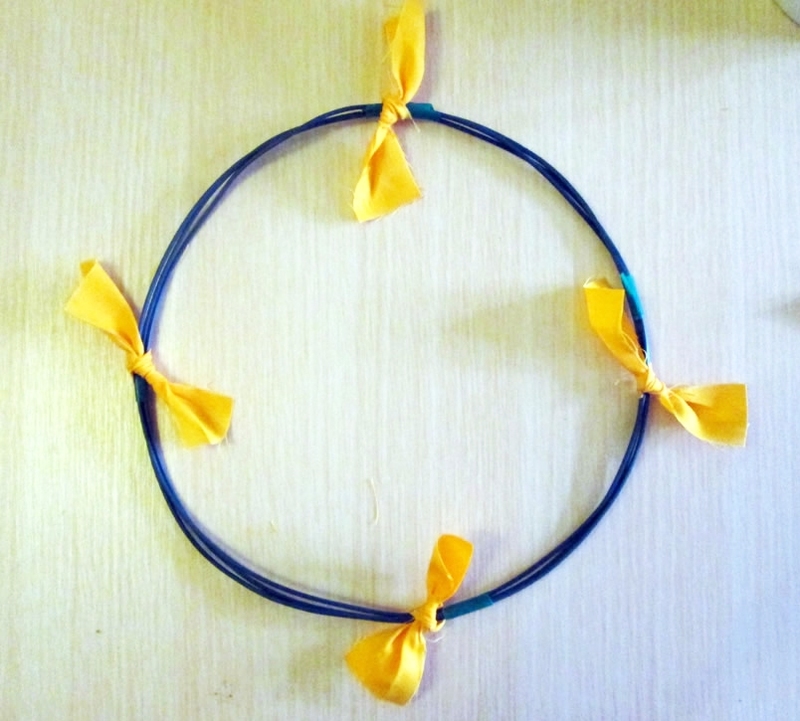 Instead, cut a length of ribbon and fold it into a loop with the join at the back. Sew a few stitches to hold it (or use double sided tape if you’re feeling lazy!). Cut another piece of ribbon and wrap it round the middle of the loop. Sew in place with a few stitches. Cut two more pieces of ribbon for the tails and sew those on at the back. 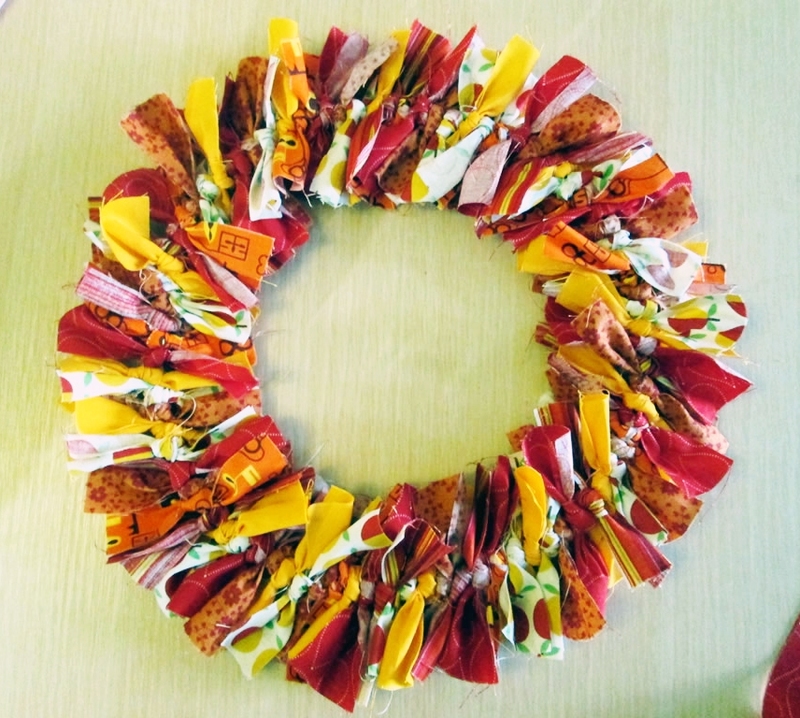 Thread a piece of wire (an old paper clip will do) through the back and attach it to your wreath. 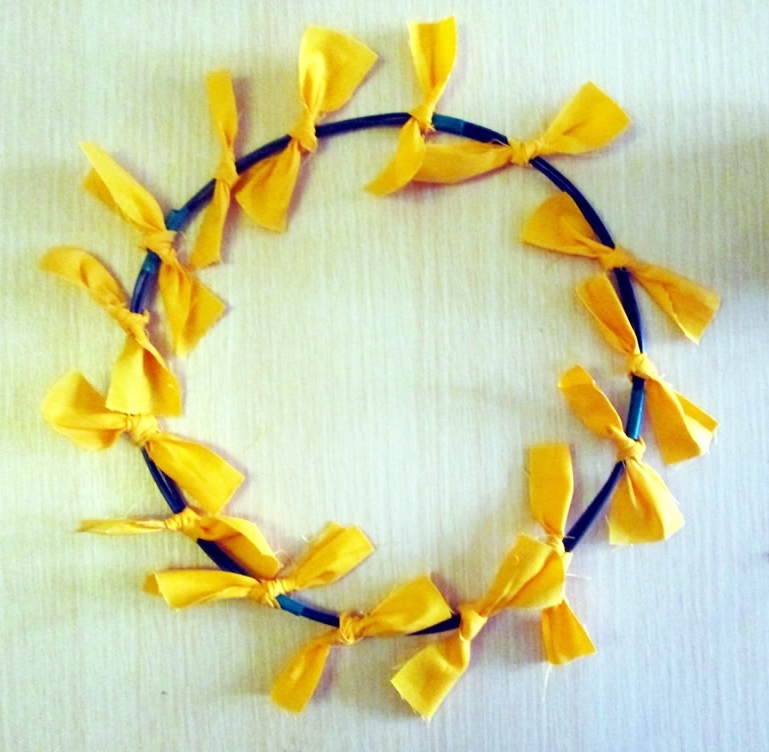 You can find some more detailed instructions for making a bow with pictures here.